It's been one of those days... Computer issues (fixable, but annoying), power outages, and intermittent internet access. Yay! First world problems at their best, but it makes it hard to get much done. 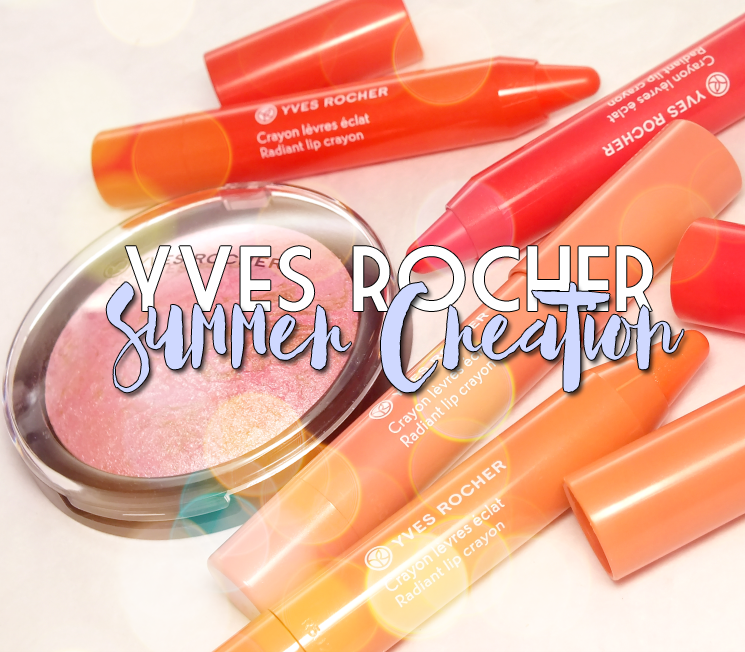 I prevailed though, and am pleased to present another portion of the Yves Rocher Summer Creation Collection (see the other posts here and here.) Today we've got lips and cheeks covered with Yves Rocher Radiant Lip Crayons and Illuminating Powder. Let's go! 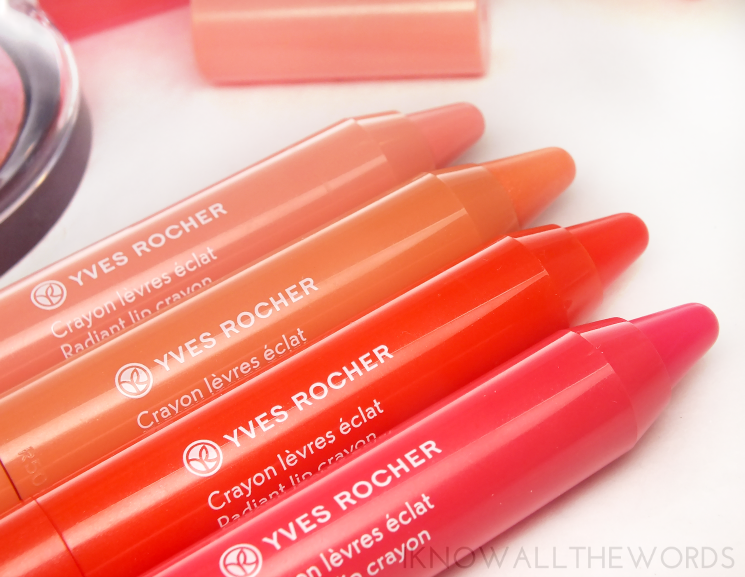 Up first, lips, with Yves Rocher Radiant Lip Crayons. These twist up crayons have a moisturizing formula that imparts lips with light hydration and a wash of transparent colour and shine. Oh, and these kind of smell like candy, so there's that too. The crayons feel a bit firm when you begin to apply them, but they warm on your skin, and can be built up a bit if you want a bit of extra colour. Of the four shades I have (there are also bronze and gold shades) two are more sheer and light, while he others have more pop, but more on that in just a moment. 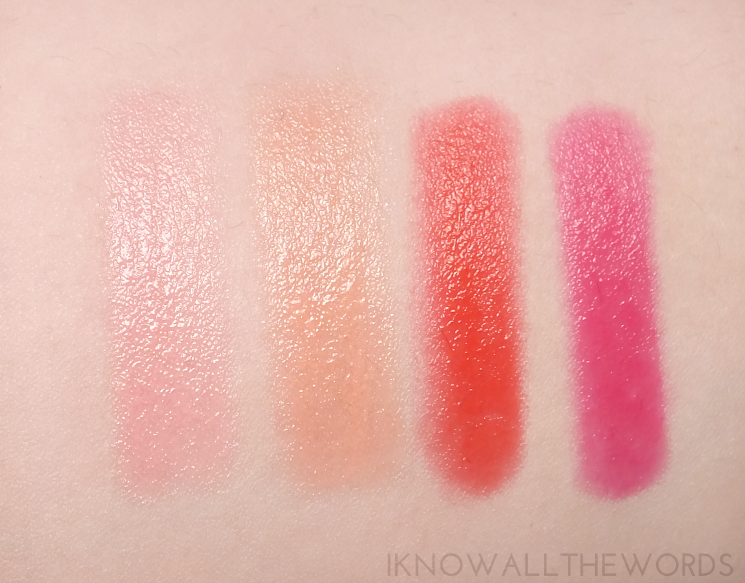 All of the shades are comfortable and light on lips and have a light dose of micro-fine shimmer. Perfect Light Pink (pale, milky light pink) and Soft Coral (pale, milky peach) are the sheerest of the four, with a creamy, soft effect on lips. 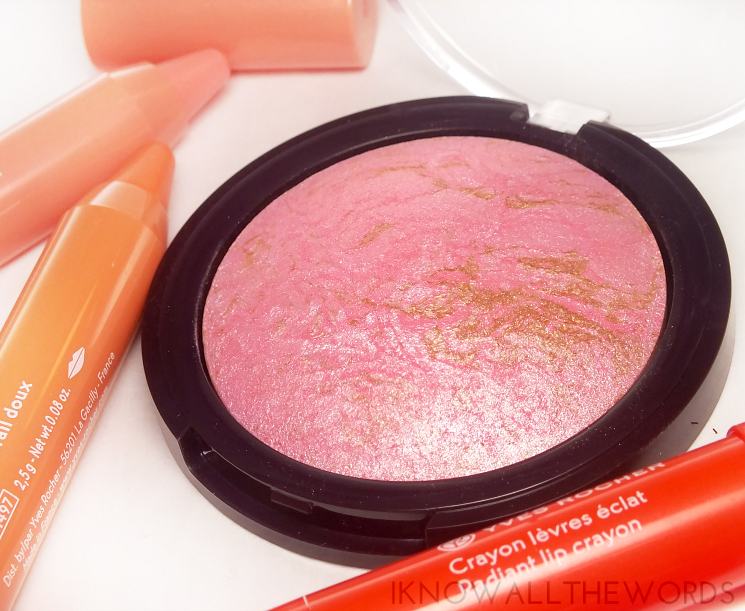 Intense Tangerine (vivid, red-orange) and Pink Sorbet (vivid red-pink) are the bolder shades. While they still have some transparency, they're more pigmented and buildable. For cheeks, there is the gloriously gorgeous Yves Rocher Bronzing/Illuminating Powder. Now, this is not a bronzer (at all) yet on the YR website it's called one, but in the press info it's called an illuminator. 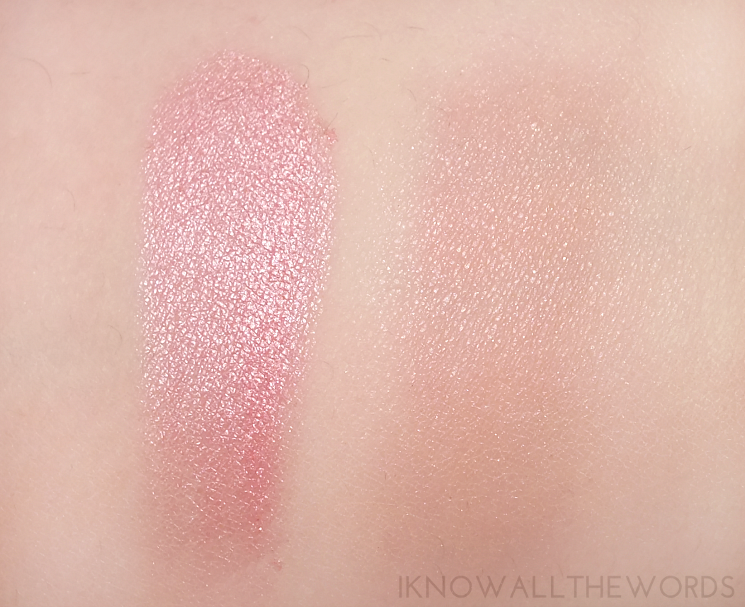 It's very much the latter, as this baked powder gives skin a glowing pink highlight. The effect is pretty much amazing... it's free of shimmer/glitter pieces, and is instead a refined, glowy thing of beauty. It can be pretty full on, so a light hand is best, but the effect is so pretty on skin. This is a must have for highlighter girls! Overall, a few great Summer products! The illuminator wins major pints with me, as it's just so glowy yet natural on skin. Interested in either of these products? Thoughts?